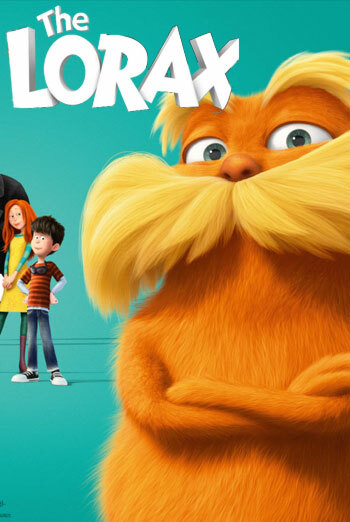 DR. SEUSS' THE LORAX is an animated film in which a young boy embarks on a mission to undo a disaster that has caused the world's trees to be destroyed. There are infrequent moments of very mild threat. For example, a character careers down some water rapids, falls off the edge of a waterfall onto some grass and then passes out temporarily. There is also a mildly unsettling dream sequence in which a character is seen chopping down trees with an automated axe in a somewhat menacing manner.